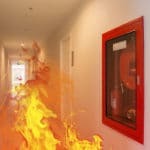 Home » Are You Using the Right Type of Fire Alarm? Whether it’s a household setting or in a business, the selection and maintenance of an early warning system is critical to save lives and minimize property loss. Each type of fire alarm has advantages and disadvantages and is designed to cover protect different types of rooms. Thermal fire alarms – feature a detecting element inside the unit that activates when it reaches a predetermined fixed temperature or when a specific increase in temperature has occurred. Heat detectors are the oldest type of automatic fire detection device. They can only detect a fire that’s already started but they are not affected by dust, smoke, or other airborne particles. Ionization fire alarms – Ionization smoke detectors contain a very small amount of radiation within an ionization chamber. They create an electric current between two metal plates, which sound an alarm when disrupted by smoke entering the chamber. Every ionization alarm has a warning about this material on the back label. In addition, it may have the words “ionization alarm” somewhere on the label. Ionization smoke alarms can quickly detect the small amounts of smoke produced by fast flaming fires, such as cooking fires or fires fueled by paper or flammable liquids. Ionization fire alarms are highly effective against flaming fires where a lot of combustion is taking place, but are typically not as good at detecting smoky, smoldering fires. Photoelectric fire alarms – Photoelectric smoke alarms use a beam of light shot at a panel to detect fires. When the beam is interrupted by smoke or other particulates in the air, the light disperses and comes in contact with a photocell, which triggers the alarm. Photoelectric smoke detectors typically respond faster to a fire in its early, smoldering stage – before the source of the fire bursts into flames. 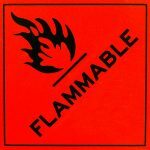 Photoelectric fire alarms work well against smoldering fires, but are not as effective against flaming fires. Photoelectric smoke detectors have the word “photoelectric” or a capital letter P printed or embossed on either the front or back. Dual sensor smoke detectors feature both ionization and photoelectric technologies. Ionization smoke alarms respond faster to high energy fires, whereas photoelectric detectors respond better to low energy smoldering fires. The NFPA recommends using both smoke alarms in the home for the best protection. Dual sensor alarms have both labels indicating their dual types. Additionally, some smoke alarms are designed to meet the needs of people with hearing disabilities. These alarms use strobe lights and vibrations to alert anyone unable to hear standard smoke detectors. A properly installed and maintained smoke detector is on alert 24 hours a day – whether you are awake or asleep – scanning for fire or smoke. The best smoke detectors are reliable, durable, and easy to test and maintain. Call Fire Control Systems for all your fire alarm needs.